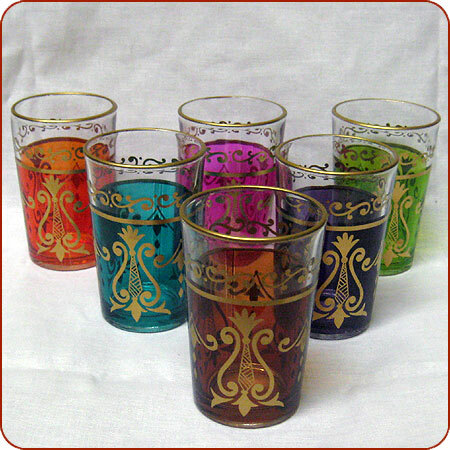 These Moroccan tea glasses are also great for using as tea lights. Start your own collection of Moroccan tea glasses today. Most homes own many different designs and not by choice. Broken tea glasses get replaced by new ones that may or may not match. The end collection is an incredible assortment of beautiful?colors and designs. Moroccan tea a staple of Moroccan lifestyle. The tea ceremony is one of the most important aspects of Moroccan hospitality as?there is no pre-requisite as to whom you serve tea.